Mrs. Belkin joined the firm in 1992. She works extensively with clients from Russia, the rest of the former Soviet Union, and the rest of the world in all matters of immigration, including adjustment of status, consular processing, employment-based visa processing, asylum, and cancellation of removal proceedings. She also specializes in navigating clients from all over the world through the PERM labor certification process. Mrs. Belkin keeps abreast of new developments in immigration law by attending conferences sponsored by the American Immigration Lawyers Association (AILA). In her free time, Mrs. Belkin enjoys spending time with her family, practicing yoga, and cooking. 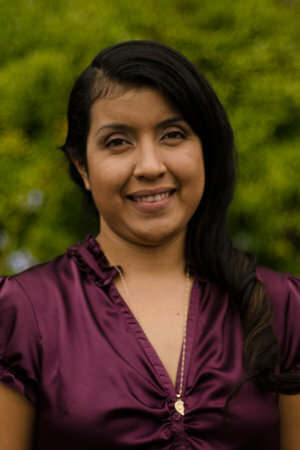 Ms. Gonzalez joined Hurwitz Holt, APLC in 2016. Her immigration experience consists of assisting attorneys in the preparation of U-Visa certifications, court filings, waivers, DACA, and translations. Ms. Gonzalez' passion for immigration law began as an immigrant herself. Her voyage through the immigration process served as a catalyst for her passion to help people navigate the immigration system. Additionally, Ms. Gonzalez has volunteered with the YWCA to assist divorcees and survivors of domestic violence with services related to legal matters. Ms. Gonzalez is in the process of obtaining her paralegal certification from Miramar College, as well as her notary certification from the state of California.